Black nitrile/SBR flexable light weight suction and discharge hose. Designed to handle brine, crude oil, mild chemicals, petroleum waste, sediments, sludge, slurries and water in harsh oil field bottom sediment and waste pit recovery applications. 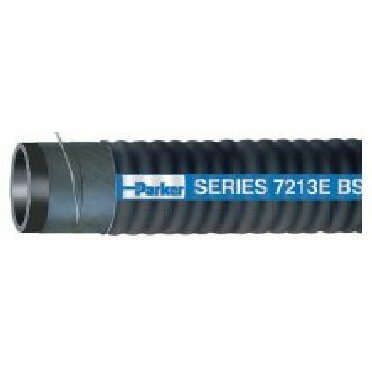 Corrugated hose construction incorporates a wire helix that provides full suction capability, flexability, kink resistance and a path to conduct a static electrical charge to ground. Nitrile/SBR cover is resistant to abrasion, oil and weathering.